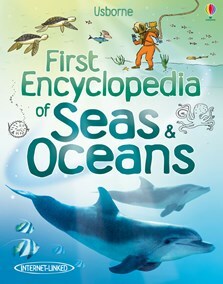 A fact-packed introduction to the wonders of the sea with easy-to-read text and superb photographs. Subjects include coral reefs, whales and dolphins, undersea exploration and environmental threats. With internet links to exciting websites, including a virtual tour of the seabed and downloadable images of weird and wonderful sea creatures. The internet links that are provided in this book were second to none, I've never seen my daughter so captivated by a single book. IT'S A GREAT BOOK I DONT SEE WHY YOU SHOULDN'T BUY IT AND IT HAS LINKS TO VERY GOOD WEBSITES.